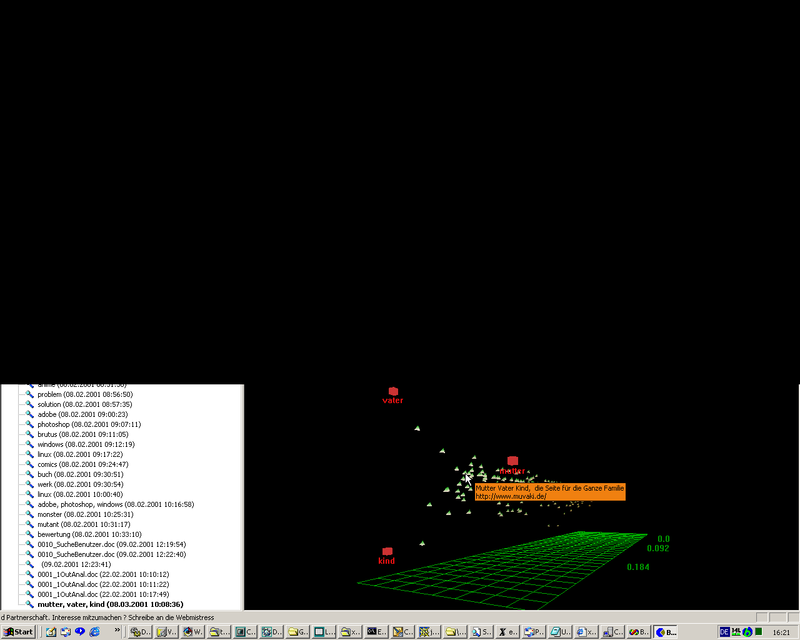 Abstract: Presents an abandoned meta search engine with natural language processing and visualisation I contributed to. My first employer after study was "blue orange Internet GmbH", originally known for their content management system (CMS) xRed. I was employed for designing and building a meta search engine which grasps internet search engines, collects and parses the results, reads the link contents, evaluates them and displays them in 3D. The application should be named "BluBot". The realised evaluation of the documents was performed just by counting the occurrences of the search terms. In later versions, some other natural language processing methods, such as term frequency / inverse document frequency (TF/IDF), using self organising maps (SOM) or semantic annotations were meant to be included. There is also a plenty of approaches for visualising corpora of documents. So overall, a great project! After some 9 months or so, the project was abandoned by the company. Until that time we got a demo version running, including a server written in Java which collects and evaluated the results from some search web services, a native c++ Windows client for visualising them, and a Visual Basic MS Word plug-in which passes written texts on-line to the server for being evaluated for search terms the server shall look for in the internet. Of course, I cannot make the tool available, because I do not own the rights. Yet, you may find some screen shots in the following. I have only some old screenshots from the visualisation client. You may find them below. 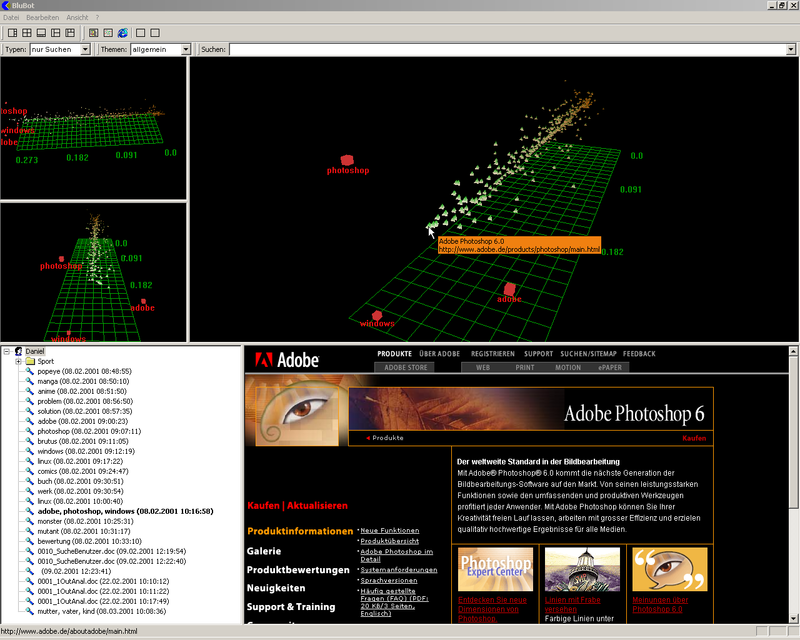 The native Windows GUI allowed free configuration of the display windows, including different visualisation types. It was not written by me, in fact. 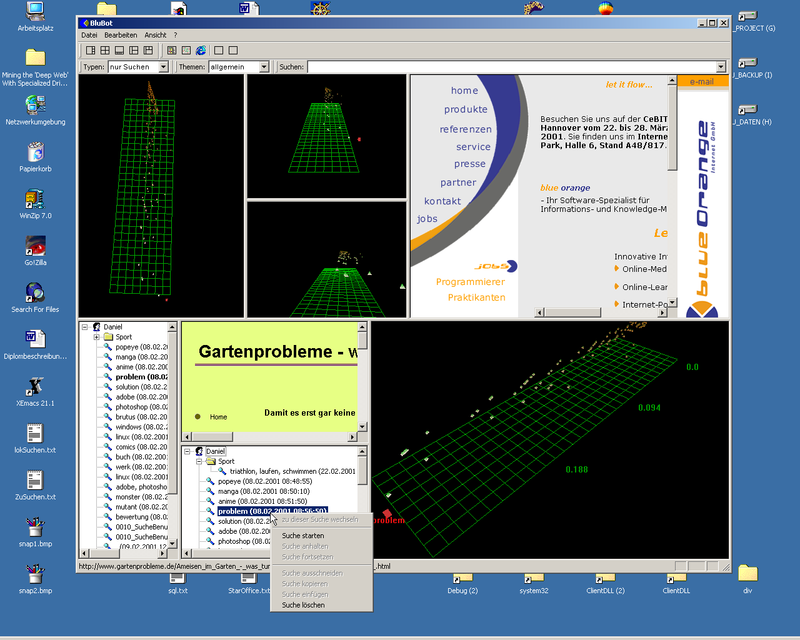 Figure 1: Blubot client screen shots. A very interesting project, with some very nice results on-time. A pity, it has not been continued. The last remaining note about blue orange is a press information. Last changed on March 06 2019 22:02:17.